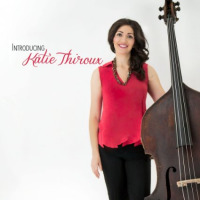 The Jazz Series is pleased welcome yet another rising star on the jazz horizon: Bassist-vocalist Katie Thiroux, as she and her trio, which includes a pair of measurable young talent, make their first Jazz Series appearance. 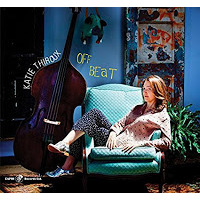 Studying both bass and voice as a child into her teens, Thiroux continued her musical education at Berklee College of Music and at California State University, Long Beach, where she received her masters degree in jazz studies. Within a year of her 2013 graduation, Thiroux began to organize, and has since maintained, her own touring ensembles. In five years hence, she has already performed throughout the United States, leading her groups into a multiplicity of major venues, from clubs to large festivals. Ditto for her international work. Along the way, Thiroux has worked with, among others, Eric Reed, Terell Stafford, Brian Lynch, Tierney Sutton and Patti Austin.